One of the most beloved and legendary Santas of all time, Raymond Joseph Yellig (better known to his friends as Jim), was known as the Real Santa from Santa Claus, Indiana. Born in the small village of Mariah Hill, Indiana, just a few miles north of Santa Claus, Yellig would become the face of Santa Claus, Indiana, for 54 years. Yellig stayed in the Navy after World War I for a short time, serving over a dozen years. After leaving the service, Yellig married his childhood sweetheart, settled in Chicago briefly. He returned to Mariah Hill in 1930 to open a restaurant. During this time Yellig would drive the short distance over to Santa Claus and talk with his old friend, postmaster James Martin. Over the years, Martin had begun answering the letters of children addressed to Santa Claus; he soon enlisted Jim's help. In 1935 Yellig organized the Santa Claus American Legion Post to act as Santa's helpers. He also started to dress the part of Santa Claus and became a fixture in and around the town of Santa Claus. Yellig appeared at Santa's Candy Castle and Santa Claus Town, the nation's first themed attraction, in the late 1930s and continued to answer letters from children who wrote to Santa. As an active Legionnaire, Yellig added to his fame by appearing in American Legion Christmas parades in New York City, Miami, Los Angeles and Philadelphia. In 1946, Yellig became the resident Santa at Santa Claus Land, the world’s first theme park. At Santa Claus Land, Yellig was the main attraction. He was in costume over 300 days a year and his deep voice and hearty "Ho, Ho, Ho," is remembered fondly by all who met him. 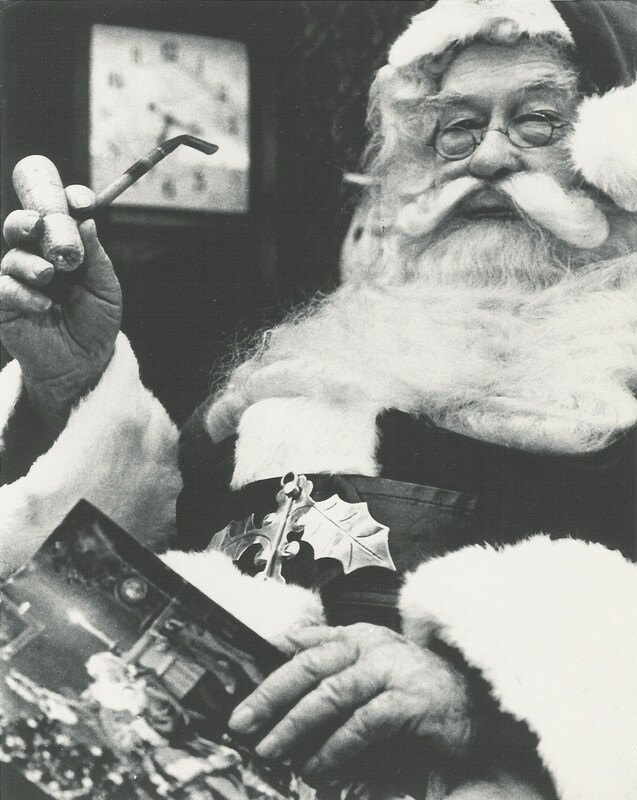 He wrote his own book in the late 1940s called, "It’s Fun to be A Real Santa Claus." Yellig also appeared on numerous radio and television programs, from "What's My Line" to "Good Morning America," and in many print ads. Yellig spent 38 years at Santa Claus Land. Even into his late 80s, Yellig would spend four to five days a week visiting and greeting children of all ages at the Park. Even in the months prior to his passing at the age of 90 on July 23, 1984, Yellig was still occasionally active as Santa at the park and continued to answer letters from children. Without a doubt, no Santa before or since has visited so many children in person as Jim Yellig. To many generations he is simply Santa Claus. On December 22, 2010, Santa Jim Yellig was inducted into the Santa Claus Hall of Fame as one of the original 14 charter members.